On the green hills in the Montalbano Area you can find Montorio farm, an old farm house surrounded by an olive-grove, made up of 5000 olive trees, and famous for the production of a very high quality extra virgin olive oil. 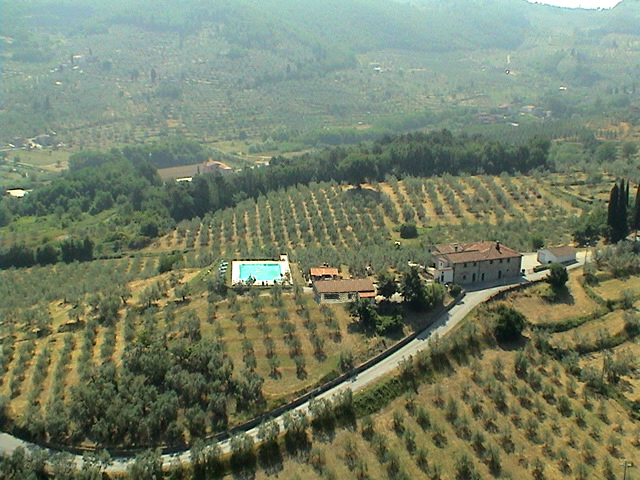 You can also find a farmhouse, suitable for your farm holidays, divided into several independent flats of various sizes, from 2 to 5 beds, restored in the respect of the traditional Tuscan architecture and set with every facility in front of a scenic terrace looking at the wonderful landscape. During your stays, in the summer hot months, you can freely bath in a scenic and comfortable hydro massage swimming pool built in harmony with the surrounding natural countryside. You can also find outdoor spaces with a lovely barbeque and a oven for pizzas where every gourmet can taste typical Tuscan recipes. In the area of Montorio Farm you will come across comfortable paths where you can walk and ride a horse or a mountain-bike, or, a few miles away, you can find sport facilities such as tennis courts and golf fields.